We give kids extra attention with tailor-made fun just for them. Beaches includes supervised kids programmes for five different age levels, and we never charge extra for giving kids the extra special excitement they crave. 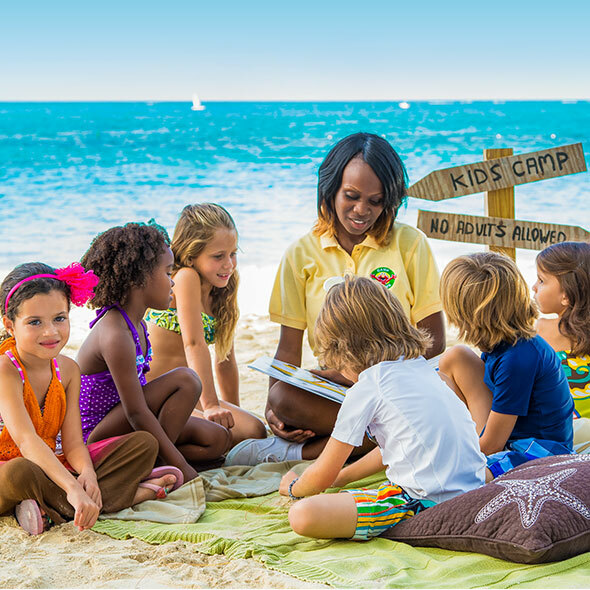 Beaches Kids Camp programmes, for infants through age 12, are run by professionally trained child-care experts. But what really sets our family-friendly holidays apart is that our staff is so genuinely caring, your kids will feel like they are in the loving hands of a real family member who wants nothing more than to spoil them. And, with Beaches kids holidays, parents will know that they left their little ones in good, trusting hands. With Beaches family resort holidays, we give kids extra attention with tailor-made fun just for them, offering age-appropriate activities for kids of all ages, from tots to teens. They’re always supervised, and they’re all included. With a staff that’s so genuinely caring, it’ll feel like your kids are in the loving hands of a family member who just wants to spoil them.